Backup Camera *, Bluetooth*, Chrome Wheels*, Luxury Package *, Power Mirror Package*, Tow Package*, Remote Start*, Premium Wheels*, Power Package*, Heated Package*. Hambelton LaGreca Super Center WWW.hamlag.com. 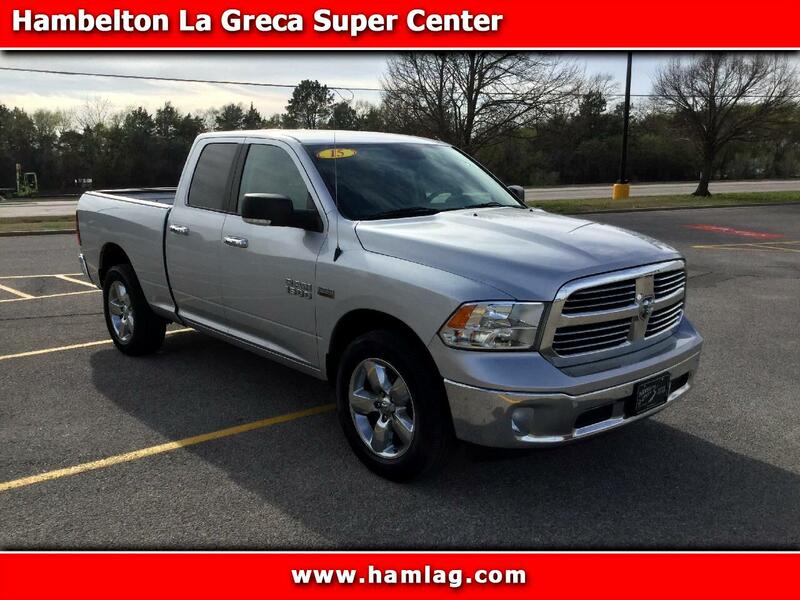 Bright Silver Clearcoat Metallic 2015 Ram 1500 Big Horn 4D Extended Cab HEMI 5.7L V8 Multi Displacement VVT 4WD 8-Speed Automatic Odometer is 32486 miles below market average! Excellent Financing Available! Awards: * 2015 KBB.com 15 Best Family Cars * Green Car Journal 2015 Green Truck of the Year Based on 2017 EPA mileage ratings. Use for comparison purposes only. Your mileage will vary depending on how you drive and maintain your vehicle, driving conditions and other factors.